As you all know, Best Buddies is an organization that is near and dear to my heart (read more about my work with Best Buddies here and here) so I always love joining them for fun activities with my Best Buddies family. 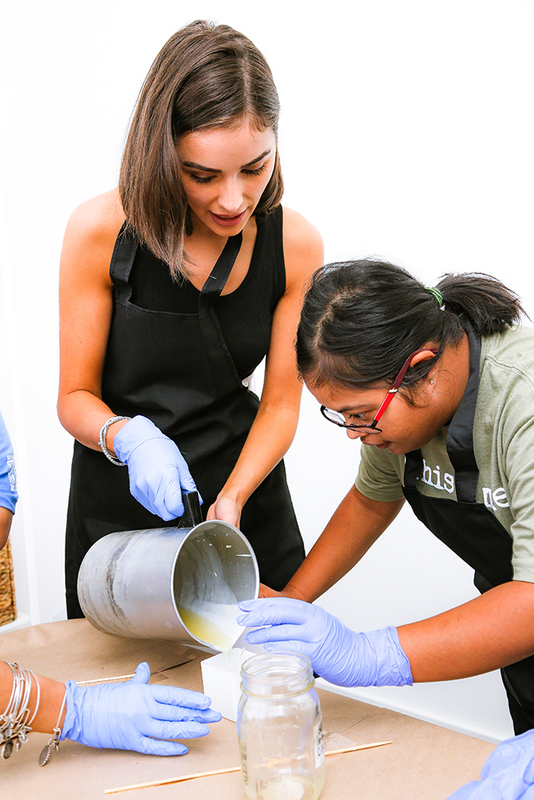 Last week, I attended a candle making event at Taja Collection in Miami with several other members from Best Buddies. We all got to create custom candles and pick out our favorite scents to use. It was so fun designing our custom candles and getting to know each other, too! Check out some of the highlights from the afternoon below, and be sure to check out Best Buddies to find out ways you can get involved, too!